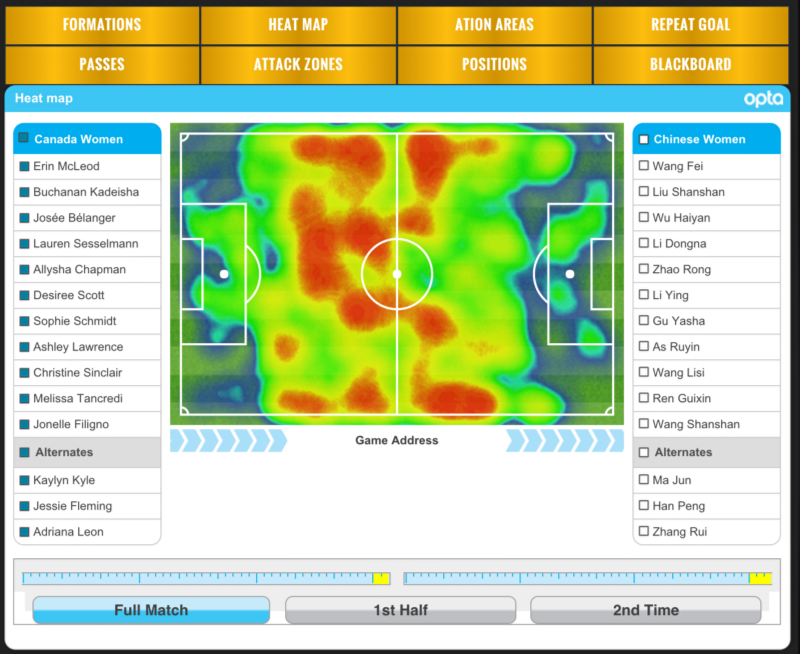 Canada’s heatmap during the opening match of the Canada 2015 Women’s World Cup versus China. They won 1–0. 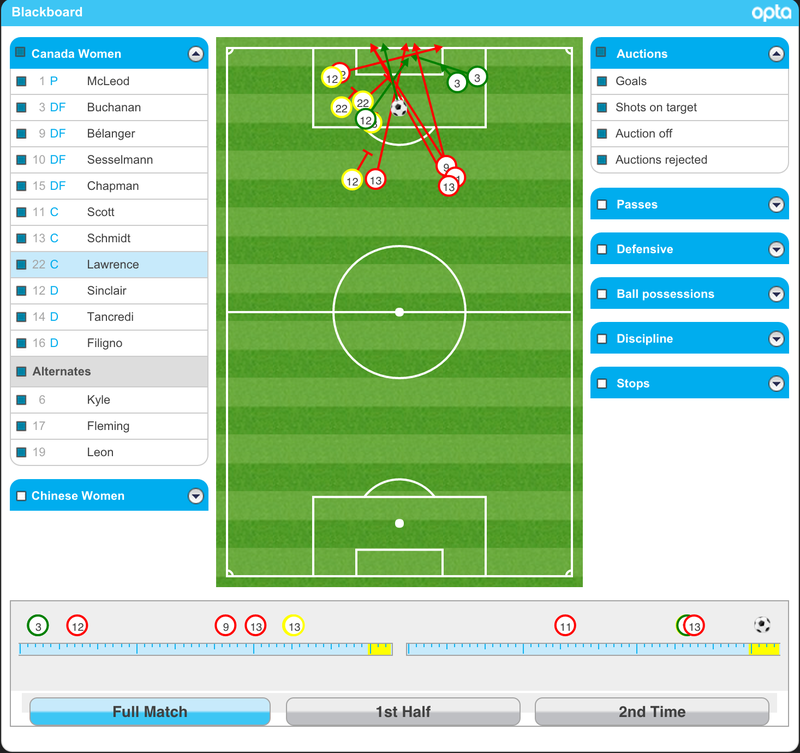 OptaPro is one of the most popular sports data collection and analysis companies. 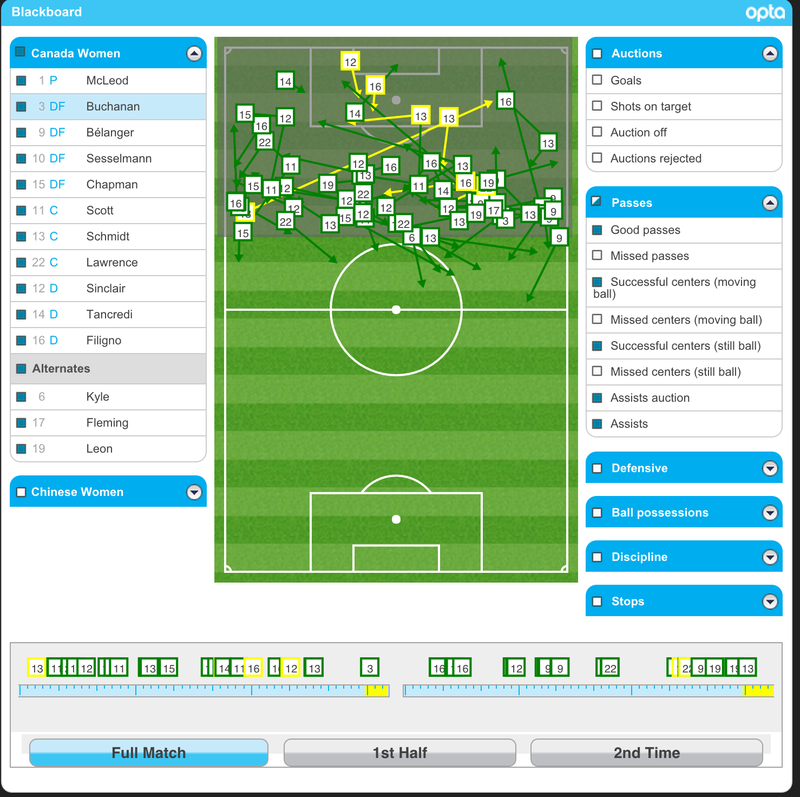 They collect and categorize live data in many sports leagues, including the Premier League, MLS, and many soccer tournaments. For years fans all across the world have been able to dive into a game and find out who’s making defensive blunders or figure out why a team can’t manage to score. This year, Opta has announced working with the Women’s World Cup. 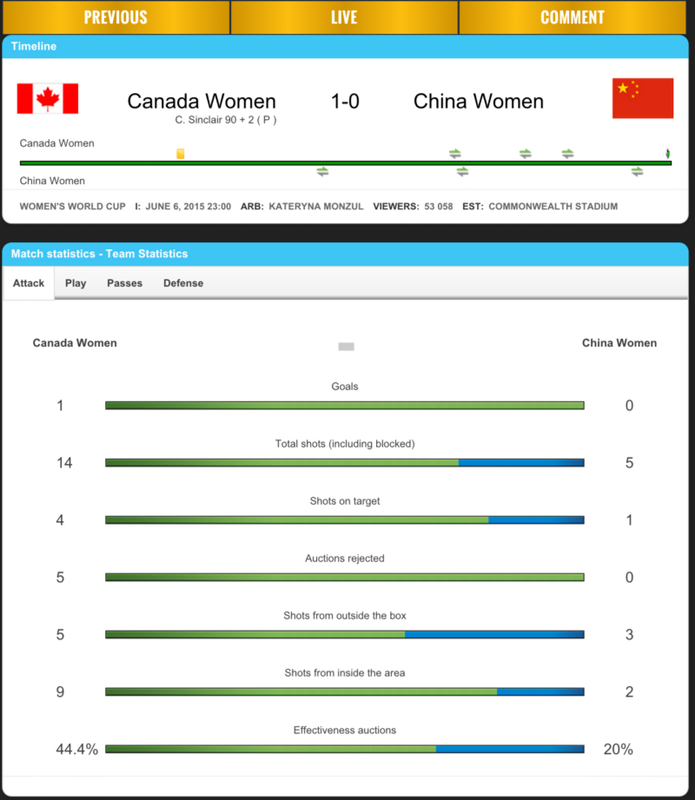 To my knowledge, this is the first time that they have made this data available to the public for a Women’s Soccer tournament! At the present moment, you can only find this info on NBCDeportes.com, and there’s a few technical issues that might get in the way. So here’s a step-by-step process on how to explore each match of Canada 2015. Technical Notes: If you wish to read this info in a different language, Google Chrome can automatically translate this into your preferred language. Also, in Chrome and Safari, the page will Auto-Refresh… which is not good if you'd like to spend more than a minute working with data. Chrome users can install this extension “Stop AutoRefresh”. FireFox and Internet Explorer users may be able to follow these instructions to also stop the page from reloading. This will affect the rest of your internet browsing, so remember to turn it off after you're done! First, go to NBCDeportes.com Results page, then click on “Detalles”/”Details” for your preferred match. Previous match results for each team and their statistics when they have faced each other. A running commentary with minute by minute action. From this we can see that there was a lot of lateral passing in the final third, but not a lot of good passes or crosses (‘centers’) into the box. Lastly, you can also see another timeline at the bottom. It’ll show when those events occurred, and you can filter by half or by specific time, say a Red Card or after a substitution. I hope that gives people a good headstart on how to analyze the matches! There is a lot more that I didn't go over, so definitely spend some time clicking around and exploring the great info that Opta has provided. (And make sure to install that Stop AutoRefresh extension I mentioned above so you don’t lose your progress.) If you have any questions about how to use the Chalkboard or anything else, feel free to contact me on Twitter. Enjoy the World Cup!